We hereby warmly welcome you and your accompanying delegation to Iran. We hope that the bilateral relations between our two countries will develop further on the basis of peace; mutual respect for independence and sovereignty for the supreme benefit of the working people of both countries; and with the aim of achieving peace, stability as well as the general prosperity of our two peoples. We are sure you are informed of what is happening these days in our working class communities, and in particular the difficult economic and social conditions affecting them, which are significantly – directly or indirectly – the result of the imposition of economic, banking and monetary sanctions against Iran by the European Union and the United States in recent years. As a result of the unjustified continuation of these sanctions, some of the country’s manufacturing industries have faced major difficulties in continuing their operations and this in turn has had devastating impacts on the employment, social and living conditions of the people generally and workers in particular. These sanctions, which also cover food stuff and medicines – in addition to spare parts and the prime goods and items necessary for the working of industries – have specifically targeted the employment and living conditions of Iranian working people and in reality constitute a silent war against the working people families. 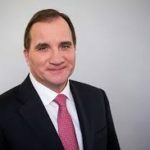 We call upon you to not only consider the end of Sweden’s participation in these sanctions , though also to actively confront and campaign against this undeclared war against the blameless Iranian working people with the aim of bringing them to an end. We wish you every success in this crucial endeavour.